What some of our guests had to say about their stay at De Oude Werf. From the moment the gates opened, I was stunned by the landscaping. The house itself is so inviting. The decor is so elegant and relaxing. I enjoyed the beautiful aroma of a home cooked meal as I came back after a quiet evening stroll. The yard is safe and quiet, so is the area. The staff are super friendly, welcoming and kind. I am hooked. I felt very comfortable the moment I arrived and was greeted by Rose. The beautiful gardens made me feel relaxed. My room was beautiful decorated. The attention to detail is evident from the service to the food prepared. A real gem. I also felt very safe. Good service/easy to find/Room was very nice and the parking was very safe the place was close to all the entertainment place you could just walk didn’t have to drive. Overall I felt safe inside and outside of the property. 5 star treatment and comfort for a seriously reasonable rate. Well decorated room, comfortable bed, beautiful bathroom and great service. DSTV in the bedroom, decent WIFI. The breakfast deserves a special mention as well – delicious. I stayed at the De Oude Werf in Queenstown and it is the cutest, most welcoming guest house I have ever stayed at. Rose and Elise are the sweetest ladies and they were hospitable and friendly. The food was delicious. They had a new kind of breakfast every morning! Rose, Elise, Vicky, Caroline and Chandre, greeted us with a smile in the morning. Our rooms were so comfortable, with quotes on the walls, and treats in our rooms we felt at home. Beautiful grounds with a pool and colorful flowers. Such a relaxing setting! Every day at the De Oude Werf was memorable. De Oude Werf Guest House in Queenstown offers Bed & Breakfast accommodation that is centrally situated, in a charming upmarket & tranquil environment. 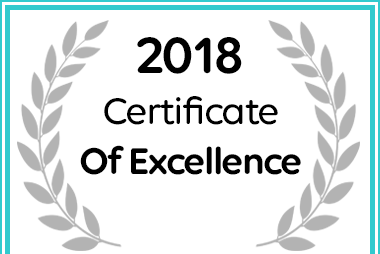 De Oude Werf received a 2018 Certificate of Excellence on Afristay. © Copyright 2018 De Oude Werf Guest House. All Rights Reserved. Web Development by HandMade Connections.